We were asked to come up with ideas to promote Menabrea in bars across Scotland. 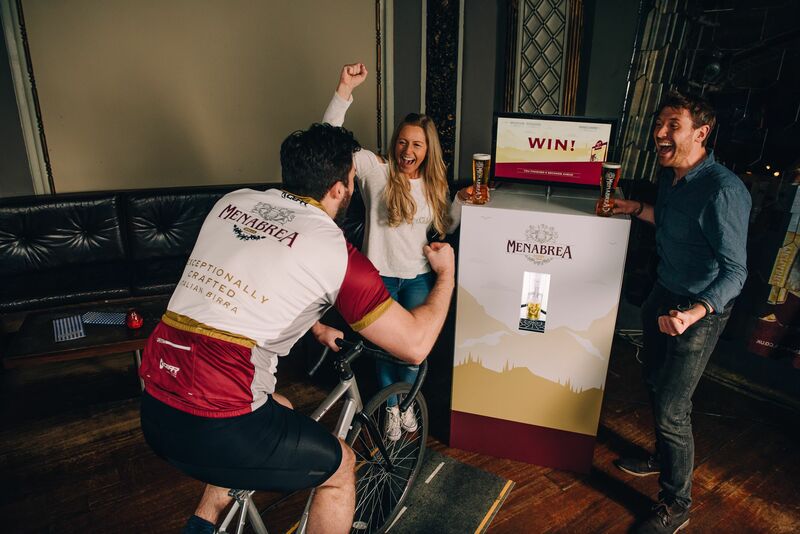 We created an experiential activity based around Menabrea’s long-standing involvement in the Giro d’Italia cycle race. Consumers were invited to pedal the mountain stage to Biella, Menabrea’s home against a computer opponent. Cycle fast enough and the machine automatically pours the cyclist a refreshing, ice-cold pint.